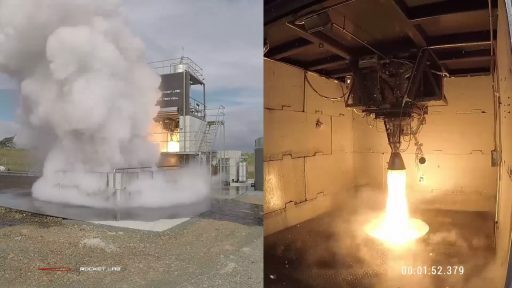 Rocket Lab joined the ranks of only a few private companies capable of sending rockets into space, debuting their innovative Electron rocket on Thursday on a long-awaited shakedown mission. However, the rocket fell short of reaching orbit, Rocket Lab said after the test flight. The 17-meter tall, all-composite rocket blasted off at 4:20 UTC from Launch Complex 1 on Mahia Peninsula, New Zealand – powering away from its picturesque sea-side launch pad with nine electric pump-fed rocket engines. Electron’s first stage was in action for two and a half minutes before the single-engine second stage took over for nearly five minutes of firing time, dropping the payload fairing as is accelerated toward orbit but eventually coming up short of orbital velocity. For its maiden flight, the two-stage booster did not carry an operational satellite payload and instead hosted an inert payload and a plethora of engineering instrumentation to collect thousands of channels of data to help Rocket Lab assess how each and every component of the rocket fared in the actual flight environment. 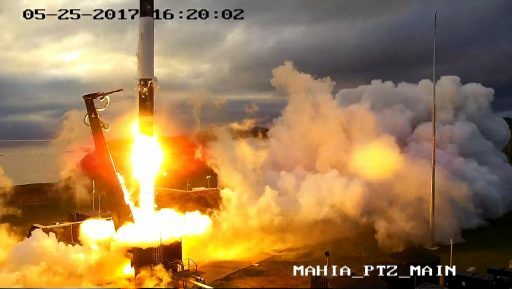 Rocket Lab engineers will now take a fine-tooth comb through over 25,000 channels of data to verify Electron functioned as specified during the initial flight phase that appeared successful and to uncover what caused the rocket to remain on a sub-orbital arc. Any potential weaknesses discovered after Thursday’s flight will be ironed out over another two test flights before this unique rocket can enter commercial service, eventually envisioned to launch as often as two times per week. 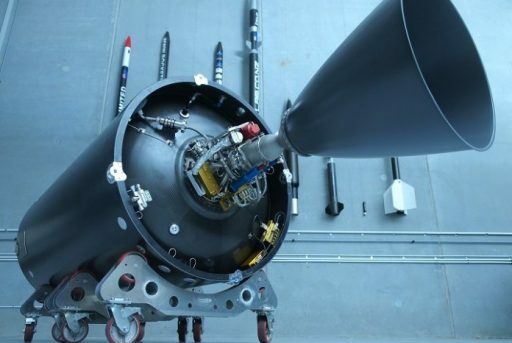 The all-black rocket is the first of several small orbital-class launch vehicles in development by various commercial launch providers to cater to a newly emerging niche of dedicated missions for small satellite operators. Advances in technology made miniaturization of various spaceborne sensors possible, permitting systems such as high-resolution imaging instruments and communication packages to fit into small satellite platforms. 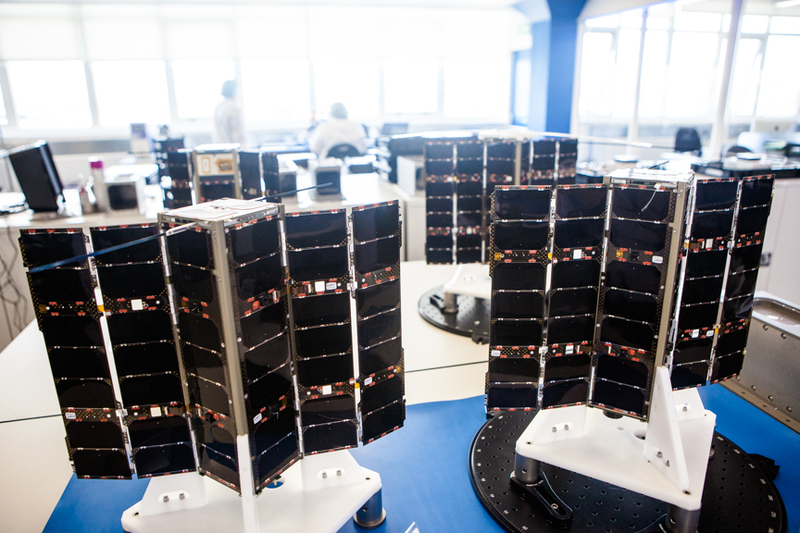 The trend toward smaller and smaller satellite missions has become evident in the sheer number of CubeSats launched since the small satellite form factor was inaugurated in 2003. Over 400 such satellites have flown to date, most in the last few years alone and around 200 are on the world’s launch manifest for 2017 – mostly flying as secondary payloads on the launches of larger satellites or hitching a ride for deployment from ISS. Initially designed for educational missions, CubeSats have become an attractive solution for commercial satellite operators in various fields such as Earth observation, meteorology and maritime/aeronautical monitoring. What this new industry has been lacking was an independent way into orbit as small satellite operators typically had to share rides with larger satellites. For shared rides, the primary satellite operator dictates that mission’s target orbit and drives the schedule which can be problematic for operators of CubeSat missions that need their satellites in orbit to generate revenue. This is were small launch vehicles like Rocket Lab’s Electron, Virgin Orbit’s LauncherOne and Vector-R come in – offering dedicated rides for small satellite operators to launch according to their schedule and into an orbit optimized for their application. Electron is sized for the growing-small satellite market, capable of launching satellites of up to 150 Kilograms in single-payload deliveries and lifting clusters of CubeSats. 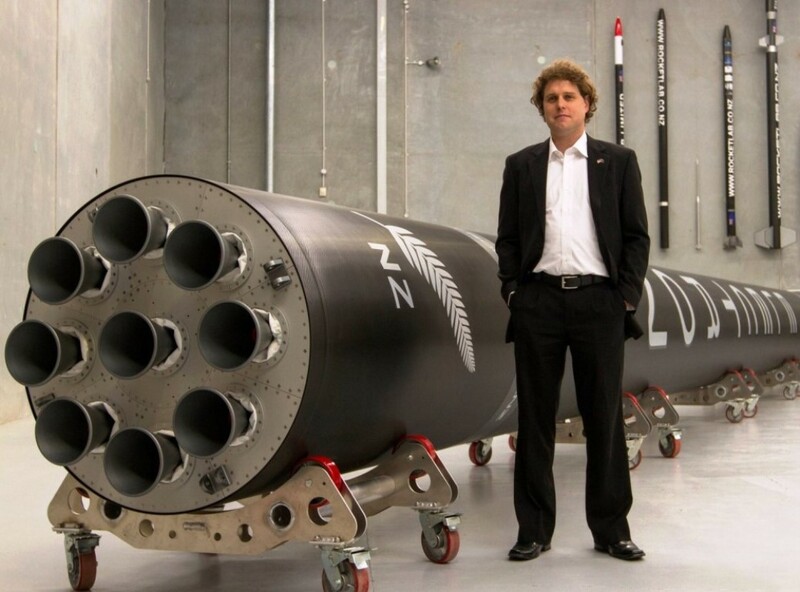 Rocket Lab plans to charge $4.9 million per Electron flight, significantly less than any other launch services provider currently in operation. Electron was brought to life in under five years with less than $100 million of funding, acquired by Rocket Lab through venture capital funds in the U.S. and New Zealand as well as a strategic investment from Lockheed Martin and initial launch commitments. Development of the Electron rocket was a relatively smooth process – slipping only two years from its initial launch target which, in the world of orbital space launch, is practically unheard of. 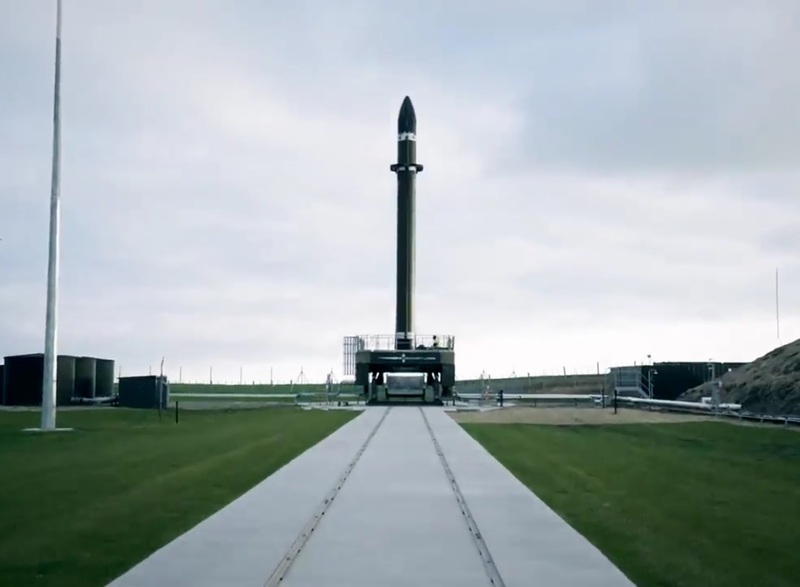 Although launching from New Zealand, Electron flies under U.S. Flag because Rocket Lab is a U.S. company with headquarters in Huntington Beach, California and a wholly-owned subsidiary in New Zealand that operates the Mahia launch base, downrange tracking infrastructure and Launch Control Center in Auckland, some 500km from the launch site. 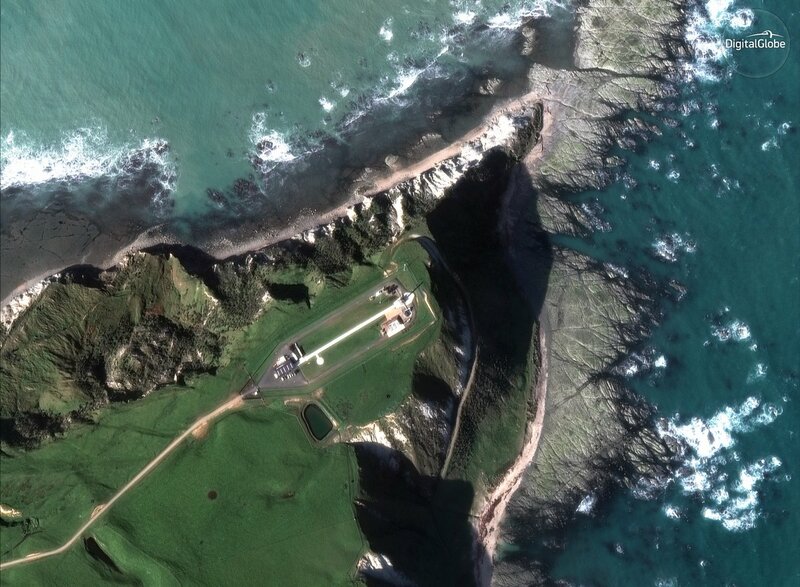 The Mahia launch base – on the east coast of New Zealand’s North Island – is the world’s first privately-operated launch range and offers safe flight corridors to all relevant orbital destinations, including Sun Synchronous Orbit preferred by Earth-imaging craft. Electron, sometimes called the ‘first battery-powered’ rocket, is the first orbital launch vehicle to rely on electric-pump-fed engines, 3D printing for all major engine components and an all-carbon-composite structure – creating a 21st century launch vehicle. Standing 17 meters tall, Electron measures 1.2 meters in diameter and weighs in at 12,550 Kilograms when fully loaded with Liquid Oxygen oxidizer and Kerosene fuel – a common and well-understood propellant combination. 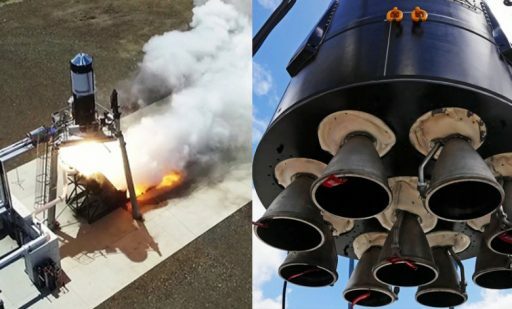 One of Rocket Lab’s flagship developments is the Rutherford engine, the first electric pump-fed engine to reach the launch pad, substituting complex turbomachinery driven by high-pressure combustion gases with a pair of brushless electric motors that drive the engine’s fuel and oxidizer pumps. Each of the two motors, about the size of a soda can, delivers 50 horsepower when spinning at 40,000 RPM. Major advantages of this unique engine cycle lie in its simplicity compared to high-pressure staged combustion engines plus the high-precision with which the pumps can be controlled for mixture adjustments and throttling. The draw-back however, is found around the aft skirt of Electron where 13 rather heavy battery packs sit to generate over 1 Megawatt of power during the first stage’s two-and-a-half-minute operation. Rutherford comes in two versions, a standard version used on the first stage and a vacuum-optimized variant with extended nozzle which powers the second stage into orbit. The standard version weighs 20 Kilograms and generates 18 Kilonewtons of sea level thrust, climbing to 21kN in vacuum with a specific impulse of 303 seconds, placing it in the ballpark of other well-known LOX/RP-1 engines like the SpaceX Merlin. The vacuum-optimized version delivers 22kN of thrust at a 333-second impulse. Rutherford utilizes 3D-printed components for all major engine parts including the chamber, injector, pumps and main propellant valves. This creates a perfectly scalable production environment, allowing Rocket Lab to step up production rates simply by adding more printing units to their production facility to increase Electron’s launch rate once operational. 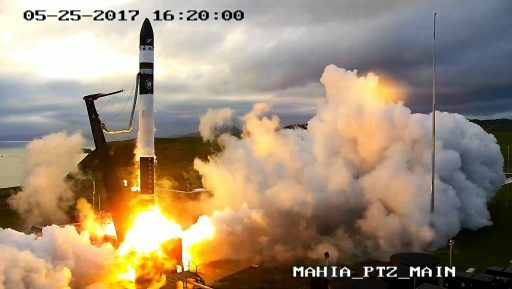 Some patience was required for Electron’s first mission, nicknamed “It’s a Test” by Rocket Lab. Electron was put through a test firing of its engine igniters last week and completed a tanking rehearsal in preparation for a Monday liftoff, but winds, clouds and concerns with static charge disrupting the in-flight instrumentation kept the rocket grounded Monday through Wednesday. 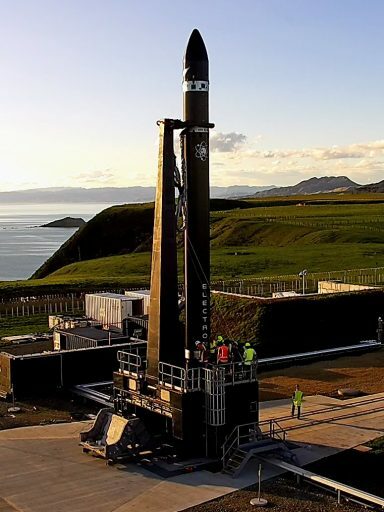 Rocket Lab said these stringent weather rules will only apply for the test flight phase carrying extra instrumentation; operational missions will be able to deal with a broader range of conditions. With conditions shaping up, Rocket Lab’s launch team in Auckland and engineers on-site began setting up for another launch attempt, closing access roads to Mahia at the L-7-hour mark before pressing into activation of the launch vehicle for checkouts. Transitioned to a vertical position, Electron entered Kerosene loading four hours before the opening of the day’s launch window followed by filling the two stages with -183°C Liquid Oxygen at T-2 hours. Operations then headed into a holding pattern to await a clearing in cloud coverage. Control was switched to Electron’s flight computers at T-2 minutes to take the rocket through final critical events like tank pressurization and transfer to internal power as well as automatic health checks prior to commanding the ignition of the engines at the T-2-second mark by firing up igniters and powering up the electric pumps. 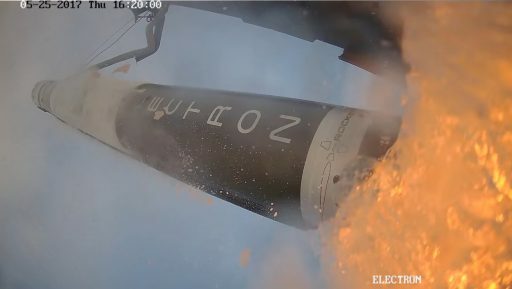 After a moment of performance monitoring, Electron was committed to launch as the hold-down system released the two-stage booster. Liftoff occurred at 4:20:00 UTC, 4:20 p.m. local time and Electron balanced in a vertical posture to clear its launch tower, climbing with a thrust of 16,500 Kilogram-force. Gimbaling its nine main engines, Electron pitched and rolled onto a southerly trajectory, departing Mahia on a 174-degree launch azimuth. Cutting through the dense layers of the atmosphere, Electron quickly reached the speed of sound and passed the point of Maximum Dynamic Pressure where the rocket’s structure has to endure maximal aerodynamic pressure before escaping the dense layers of the atmosphere. Strain gauges, among other sensors on the vehicle, were designed to provide detailed insights into how the composite structure dealt with this particular flight regime. Thrust on the first stage increased to 19,600kgf as Electron climbed out of the discernible atmosphere, continuing south-east over the Pacific Ocean. The first stage kept firing its nine Rutherford engines for two and a half minutes, in the process consuming around 9,250 Kilograms of propellants. Four seconds after main engine cutoff, pneumatic separation systems activated to push the 12-meter long booster clear of the Rutherford-Vac nozzle. Ignition of the second stage was expected two minutes and 36 seconds into the flight on a burn of four minutes and 50 seconds with 2,240-Kilogram-force of thrust. 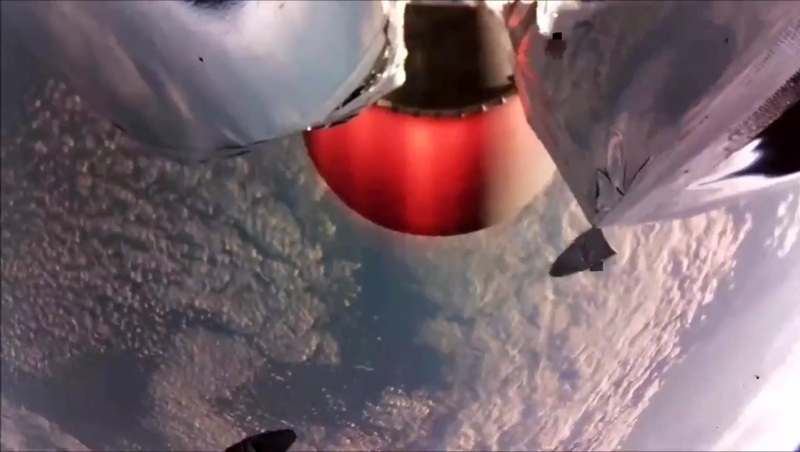 Three minutes and seven seconds into the mission, the rocket’s clamshell-type fairing halves were to split open and drop away, demonstrating another critical separation event occurring during ascent. Additional elements to be dropped from the second stage included two of the stage’s three battery packs as they were depleted – shedding no-longer needed weight to optimize the rocket’s performance. Rocket Lab said Electron successfully reached space at 4:23 UTC and completed a number of major flight events including first stage burn, stage separation, second stage ignition and fairing separation, also passing critical moments like MaxQ that put Electron’s light-weight structure to the test. ‘It’s a Test’ targeted an orbit of 300 by 500 Kilometers, inclined 83 degrees to either side of the equator. What caused Electron to fall short of its intended orbit was not characterized by Rocket Lab and will be scrutinized over the coming days and weeks via detailed data reviews to examine the behavior of all the rocket’s subsystems over the course of the planned seven-and-a-half-minute climb into orbit. Electron test flights two and three, expected to come within a few weeks of each other, will carry CubeSats into orbit under contact with ISIS – Innovative Solutions in Space and satellite Internet start-up Outernet Inc. 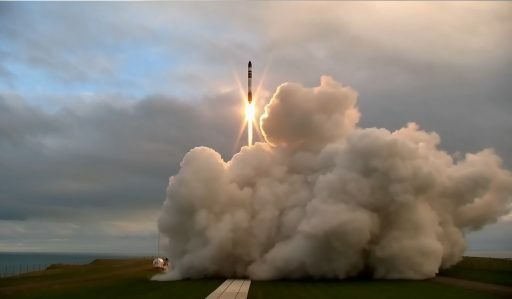 Rocket Lab is contracted for at least eight operational missions, including a Venture-Class launch contract from NASA, three dedicated launches for San Francisco-based Planet, a launch for Spaceflight Inc. and three flights for Moon Express. Beyond that, the company is offering quarterly Rideshare launches to a 500km SSO starting later this year. Big plans exist for Rocket Lab’s future including establishing production and launch capability from the United States at the Kennedy Space Center and Pacific Spaceport Complex – Alaska. The company is also scaling up production capability to eventually step up Electron’s launch pace, eyeing a steady cadence of two missions per week.